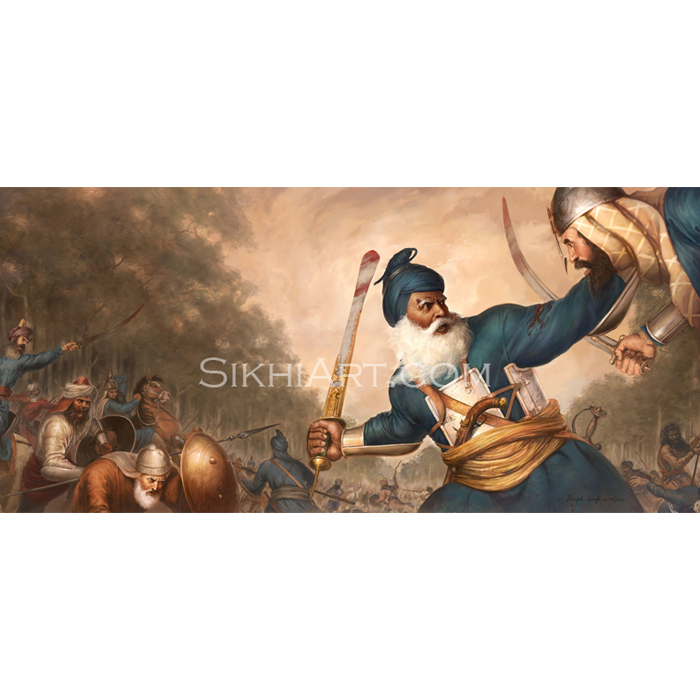 Super Sikh’s inner qualities include – protector of loved ones, strong and calm, and his outer qualities include – turban, beard and weapons. Once I saw these qualities in Super Sikh, I became inspired to paint him. I love to paint characters that have these warrior-saint qualities, those are the best kind. A few years ago there were no decent sikh characters in popular Indian media. They were mostly jokers, caricatures and minor characters. So I always felt that there should be some solid sikh characters, heroes, super heroes, etc in the media. 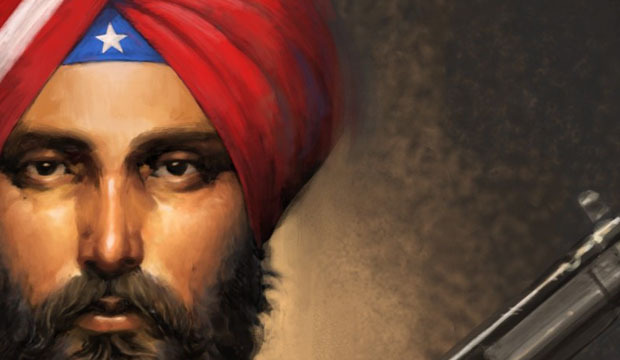 That trend has started changing, however as far as comics are concerned, we still need positive sikh characters in comics. Super Sikh is perfect for that. I love super heroes and I have always been involved in making all kinds of heroic characters. A lot of my art from 2006-2008 is about Sikh super heroes, powerful Sikh mutants who have different powers and different personalities. So when I heard about this project, Super Sikh, it was right up my alley. I became super excited and I lept over tall buildings in enthusiasm, faster than a speeding bullet. 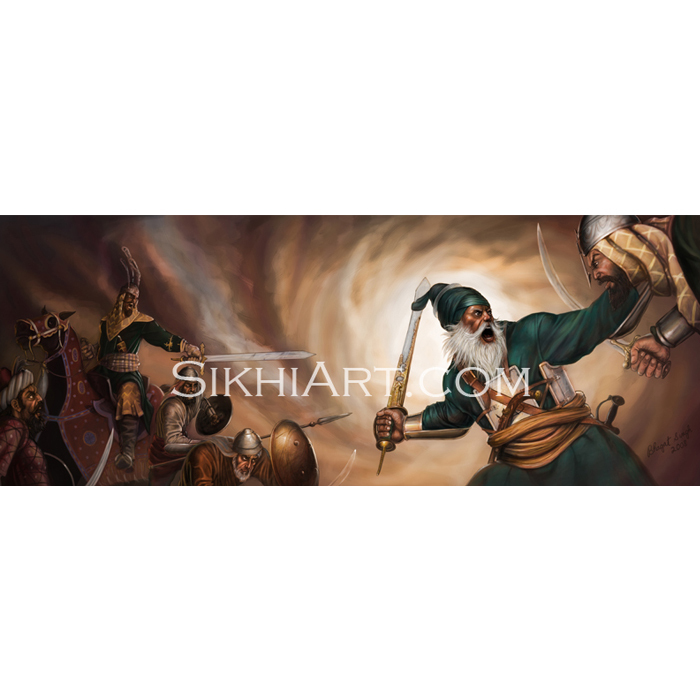 In this painting tutorial, I show go behind the scenes and show you how my painting of Super Sikh was created. 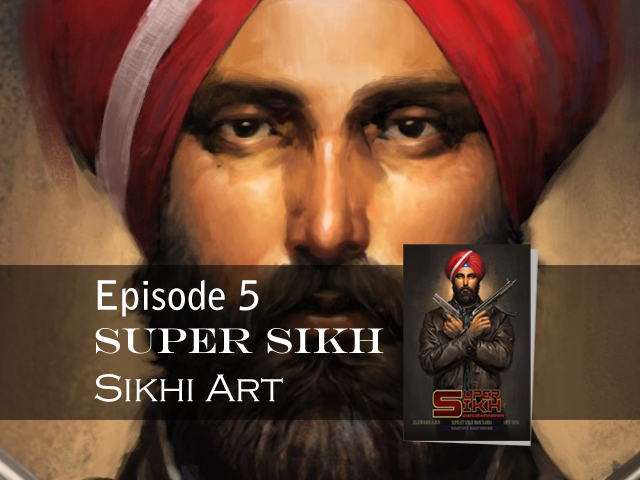 I also talk about how to paint Super Sikh’s guns, his turban and his jacket, providing my insights into the painting process. wjkk wjkf! ji. before i write anything more im was going to comment about the american flag turban and to my surprise someone has already brought that up. 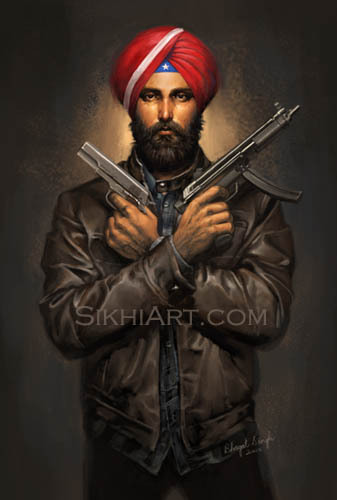 i saw your video where you are asked to paint a sikh for comics and more modern. and because he is an american sikh. i see where you are coming from. when i saw that painting with an american star on his forehead. 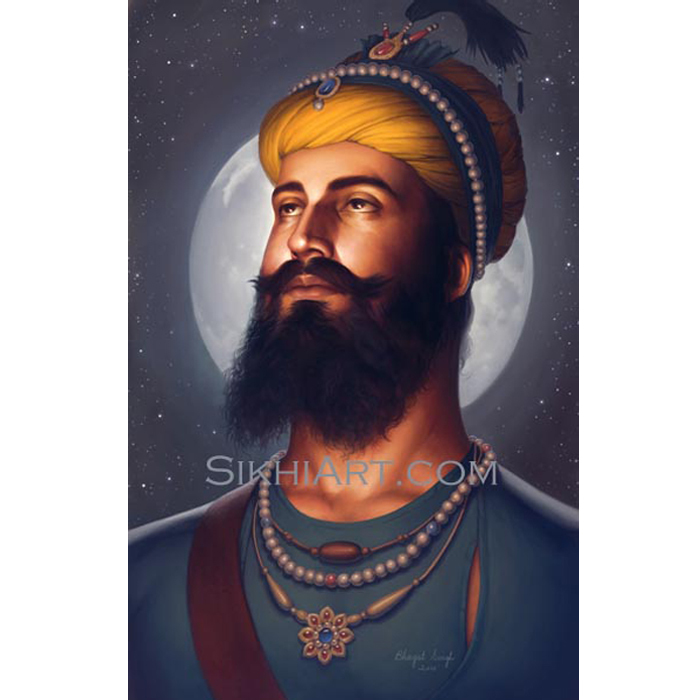 first thing came to my mind was this image looks like a of any regular sikh with a turban but why an american star, shouldnt that be a “KHANDA”? its your painting and i respect it and you as a fellow human being but it hurts me when something like that happens. 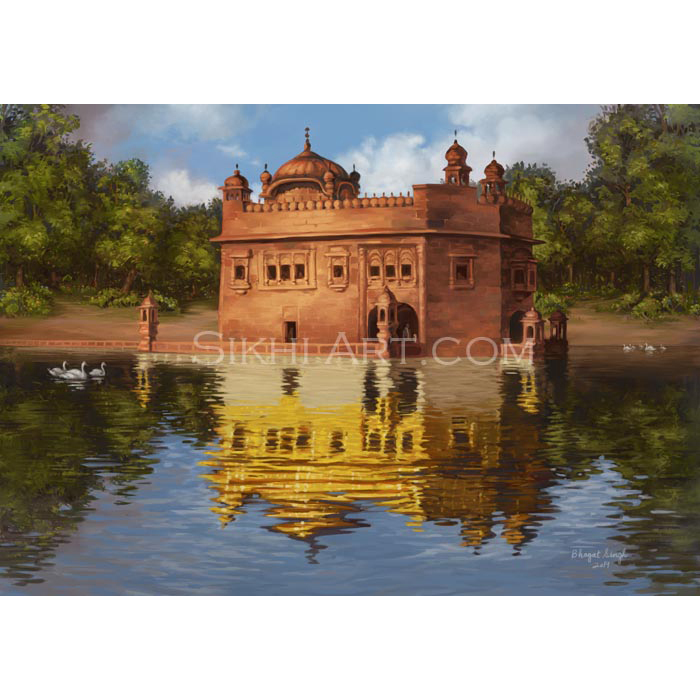 did you ask your inside or Guru Sahib Ji if painting that is okay? 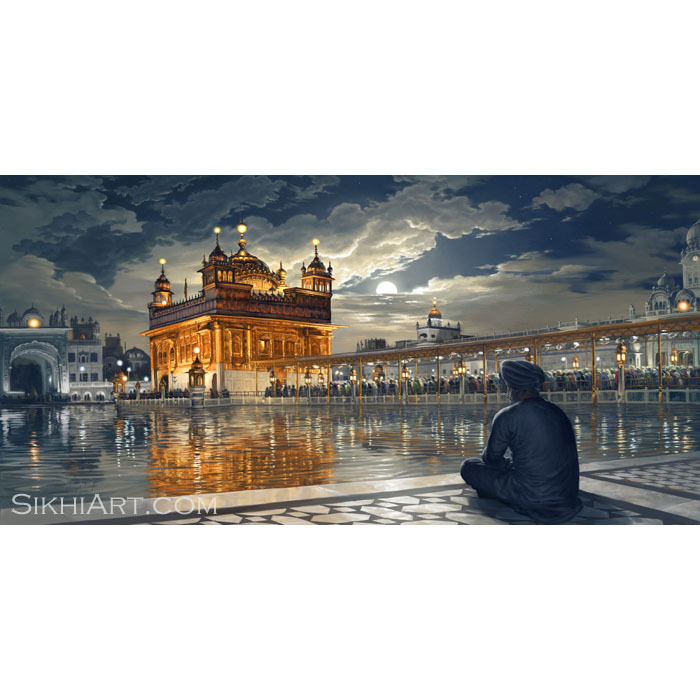 did you connect with Gurbani before you did that? if we are trying to get accepted by the society by mending a few things in sikhi ask yourself are you truly following your religion? we may look like sikhs from the outside and pray too but do we mend things and step away when its time to stand firm on our beliefs? please we dont need acceptance from the society. 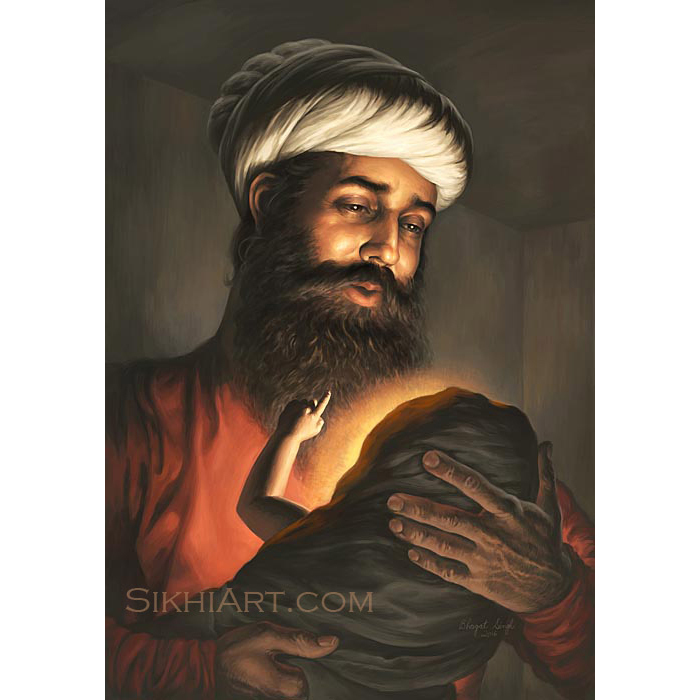 a guru’s sikh does not belong to america, india, china, canada, north pole, sikh belongs to his master His Beloved King~ Guru Sahib Ji. this isnt about america or where wgat place we reside. its about questioning ourselves of wgat we say we believe. 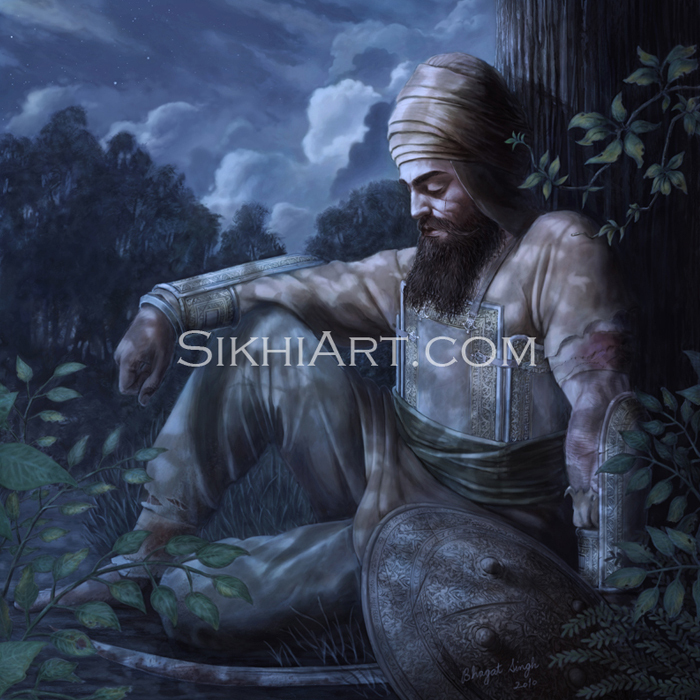 great painting brother but if we are not sure if its okay get advice from someone you see maybe truly following sikhi not someone you know close though or what you are going to paint, picture can say a lot. lets be cautious so we dont give the wrong message across. our paintings our looks our status dont have to be great we just need to be true. may Guru Sahib Ji forgive my countless mistakes. one more thing. we dont need a super sikh 🙂 every sikh is beyond all this wanna be super marvel hero if only we become true to our Guru. our guru is not just a guru. 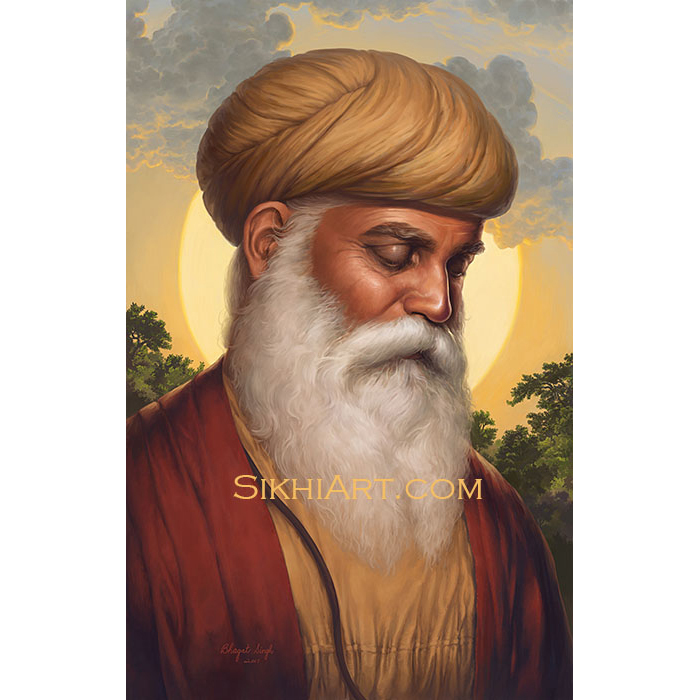 our Guru is SatGuru(TrueGuru). lets spend more time in spirituality while taking care of the responsibilities of the worldly neccesities. 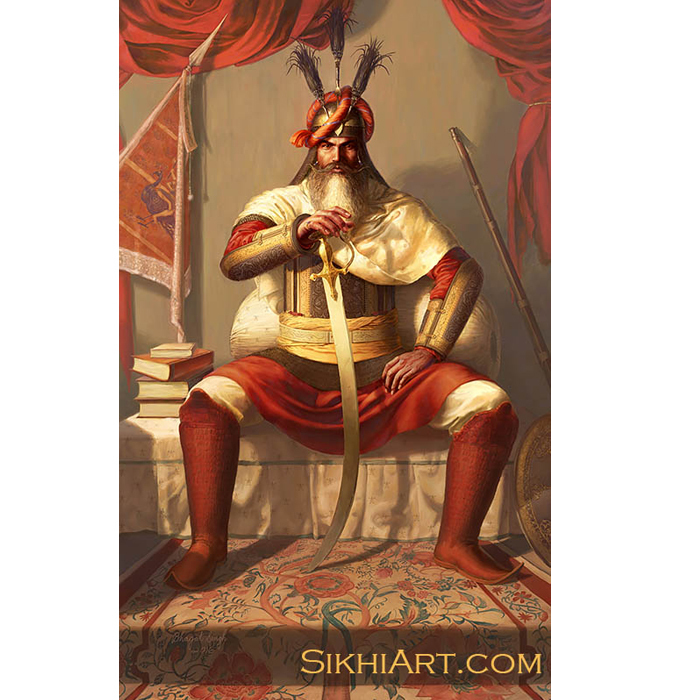 i can see why you created this character–to show the world that Sikhs are an integral part of the mainstream and by creating this, you have been successful, according to me, to show that a Sikh is not bound to any specific norms of how to look and how to behave, except of course, those outlined by guru sahib, and you have successfully done that. Thanks for this character. I might also try to do something like what you are doing.